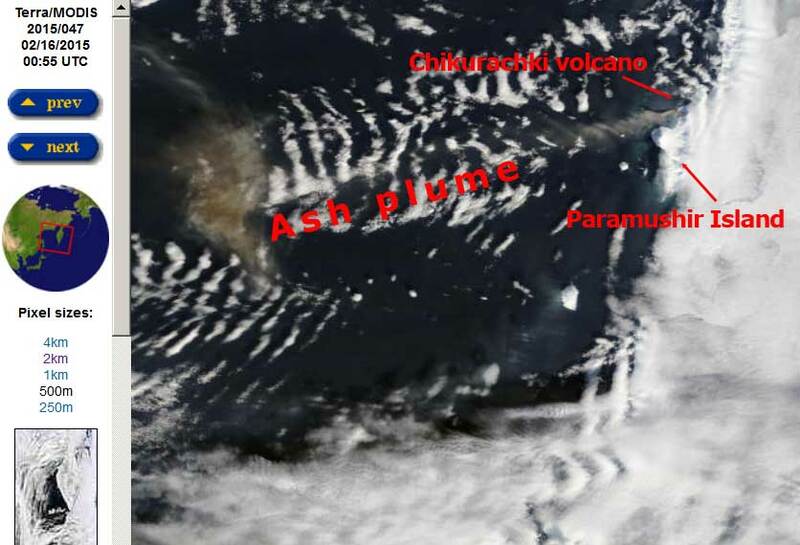 A strong explosive eruption occurred from the volcano on Paramushir island last evening, producing an ash plume that rose to 25,000 ft (7.5 km) altitude and drifted quickly west, already more than 200 km distance. The Aviation Color Code was raised to red. After Klyuchevskoy, Shiveluch, Zhupanovsky and Karymski volcanoes on Kamchatka, it is the fith Russian volcano currently erupting in the region, posing danger to aviation.